I have loved Strawberry Shortcake since I was a little girl. I love that I can pass that on to my own daughter with brand new dvd's with the famous gang. Just in time for Easter baskets!! 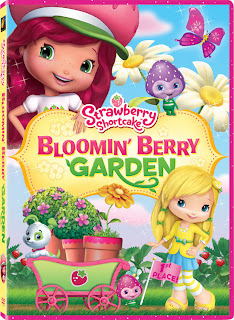 Strawberry Shortcake is back just in time for Spring and is so sweet you will need two helpings! Touching the hearts of children for decades, this wildly successful franchise is back with two more magical tales! 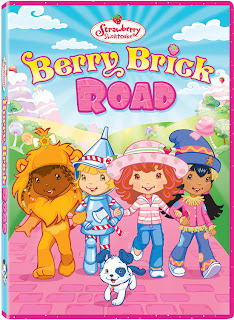 Strawberry Shortcake: Berry Brick Road follows Strawberry and her friends as they retell the classic “Wonderful Wizard of Oz.” When a cyclone blows Strawberry to the strange land of Oz, she runs into trouble with the Wicked Witch and must journey to the Emerald City to ask the Wizard how to find her way back home. On sale now! Pick up a copy for all your little ones this spring season! Strawberry Shortcake is an icon for little girls, and my daughter and I loved snuggling up together to watch these dvd's. I received them in exchange for an honest review.